Whispers in the Loggia: "It's Gustavo!" ...and now, it's official -- as broken on these pages last night, at Roman Noon today, B16 named Gustavo García-Siller to San Antonio, where the archbishop-elect will be formally introduced at a presser scheduled for 10am Central time. 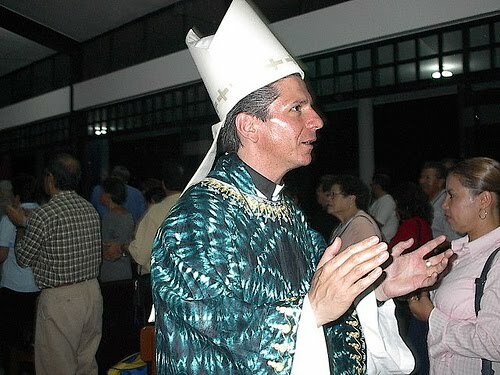 Now the 18th Latin-rite metropolitan (of 32) named by B16 since his 2005 election, García-Siller is the second Chicago auxiliary to leave town in just the last six months; the new archbishop's ordination classmate, the "Holy Goalie" Bishop Tom Paprocki, was named to Illinois' capital-church of Springfield in April.